I think some of my friends think that I always maintain healthy eating habits. But, sometimes I have a tendency to get caught up with things and start skipping out on some of those habits. Work gets crazy, and my schedule becomes overwhelming. Once in awhile, I find myself missing out on sleep and making poor food choices. And sometimes those choices are less about picking unhealthy things than remembering to incorporate good, nutritious ones into my daily eats/drinks. I was in one of those slumps recently. One thing that helped me out was buying some locally made vegetable juices (from Viva Raw) and having a smoothie every day or so. I really think the vegetable and fruit nutrition helped me get back in gear. It also gave me an excuse to play around with smoothie recipes. I decided to try a simple Healthy Banana Almond Butter Smoothie first. Next, I tried a boosted Banana Almond Butter Smoothie. The recipe for the simple version is at the end of this post. The amped up version is available here. I love creative ingredients and all, but sometimes it’s nice to make something with just a handful of staples. 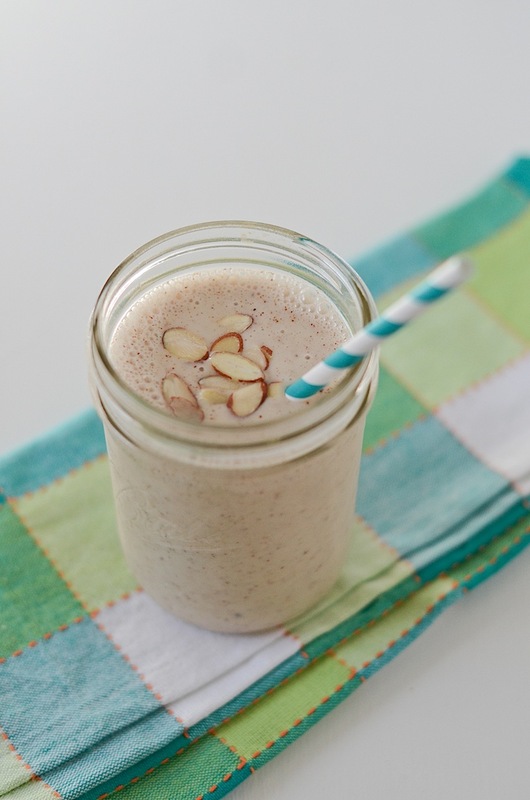 This healthy Banana Almond Butter Smoothie is made with only three ingredients. And, none of those ingredients is a sweetener! Yup, this smoothie uses the natural sweetness of a banana. The key ingredient is a good almond butter. You’ll get almost all of your flavor from this ingredient, so pick one you enjoy eating. 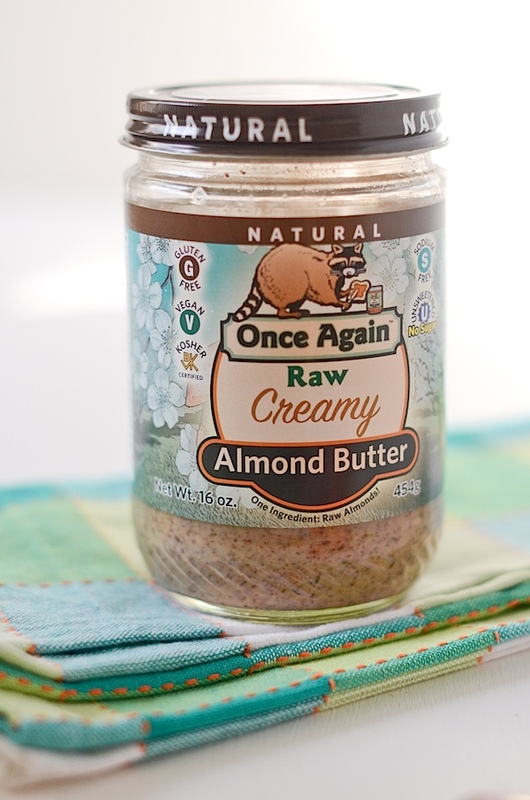 This Once Again Raw Creamy Almond Butter was on sale recently, so I decided to check it out. I’m not gonna lie, I prefer an almond butter made with roasted almonds and salt for a deeper flavor. This one is quite light. 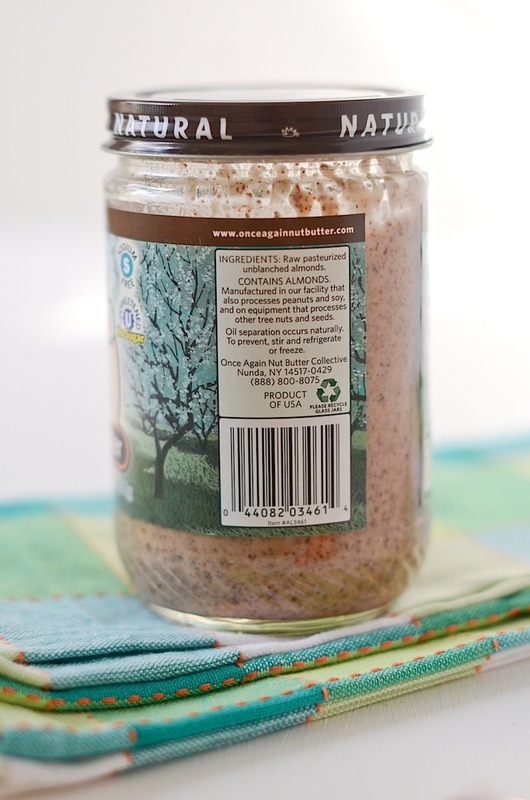 However, for a non-homemade almond butter, the ingredient list is impressive. Yup, just one ingredient. No chemicals or additives. Just straight up almonds. 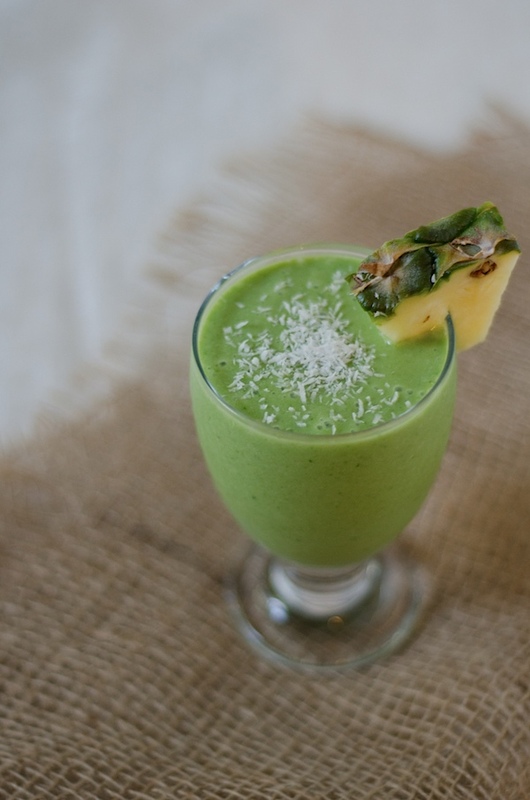 This smoothie is a great everyday smoothie, but there are also a ton of ways to jazz it up. More on that on my next post for the Boosted Banana Almond Butter Smoothie Recipe. 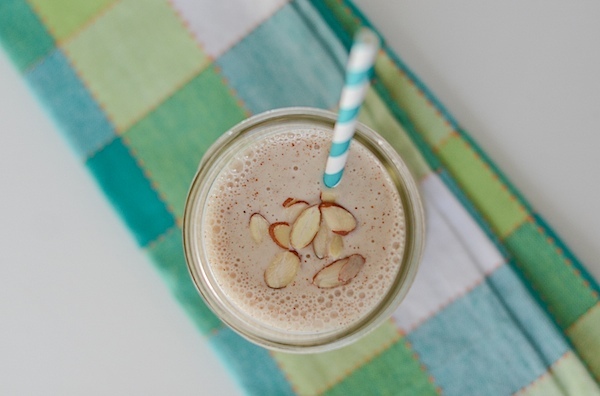 This Healthy Almond Butter Smoothie recipe is a cinch to whip up. It only uses three staple ingredients, too, and you can easily add in others to your liking. 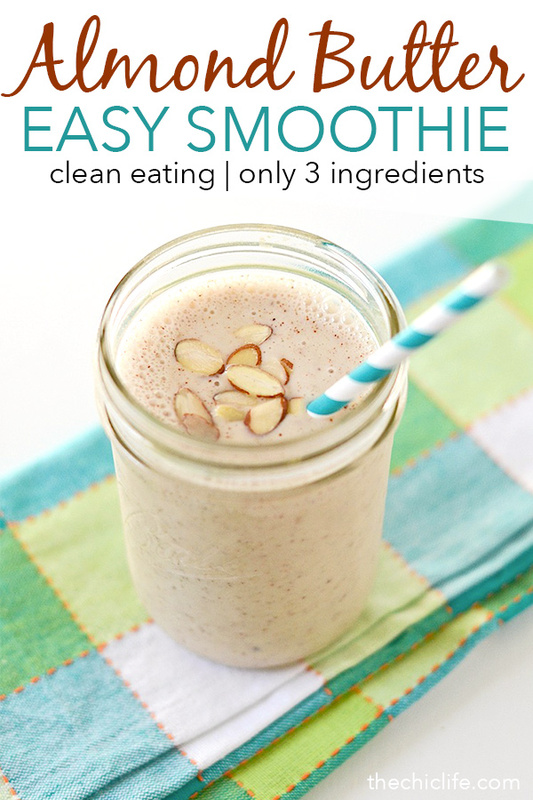 Remember to choose an almond butter you really love since it will be the main flavor of this smoothie. Did I mention there are no added sugars in this smoothie? Woohoo! Place milk, banana, and almond butter in the blender. Cover and blend until ingredients are processed and smooth, about 1-2 minutes. Taste test and if desired, blend in sweetener of choice to taste. This recipe uses the sweetness of bananas for natural sugar. If it’s not sweet enough for you, you can blend in some more sweetener of choice. A frozen banana is recommended for a nice, frosty texture. But, you can sub a non-frozen banana. I’d just recommend adding a couple cubes of ice to the mix. 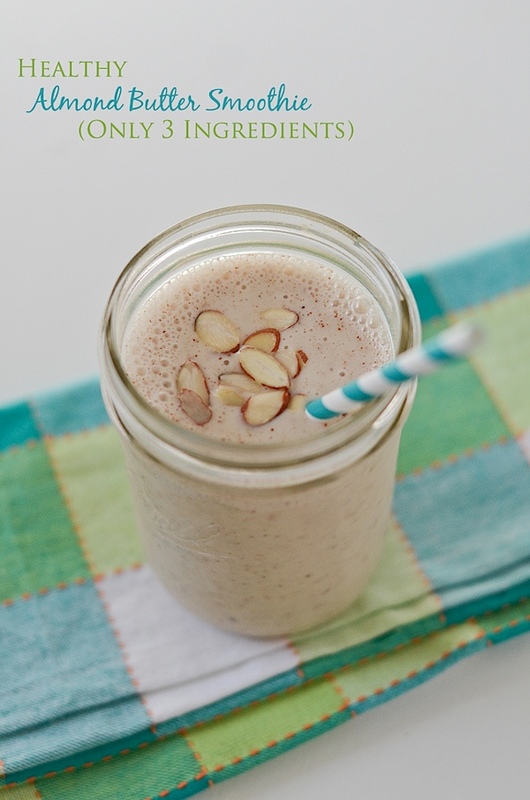 Hope you enjoyed this Healthy Banana Almond Butter Smoothie recipe. Have a great week! And, remember to eat your fruits and veggies! 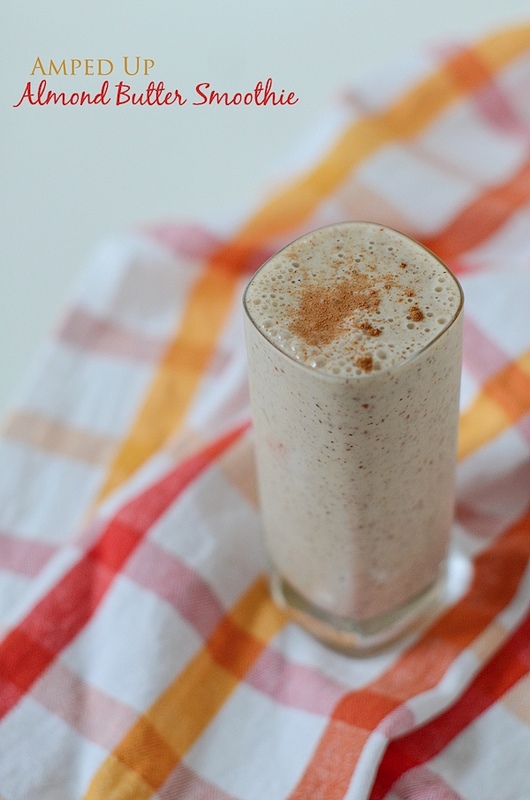 Almond butter and banana smoothies are my favorite! Sometimes I add a sprinkle of cinnamon on top. Delicious! OMGoodness. I will have to try and find that almond butter! This looks and sounds yummy! Can’t wait to see how you amp it up!